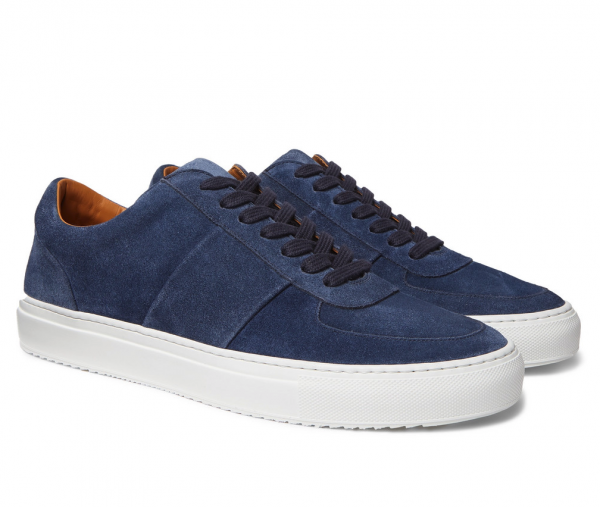 Fellas a pair of minimalist sneakers is an essential and these beauties are the latest from the Mr P. collection. These “Larry” are made from supple suede that’s backed with smooth leather for breathability and comfort. They’re set on white rubber soles that contrast nicely with the blue uppers. Easy shoes to pair with many looks, go HERE to get some “Blue Suede shoes” sexiness in your life.